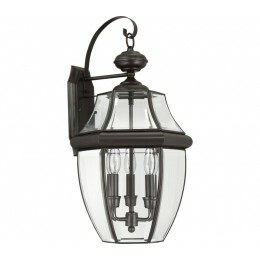 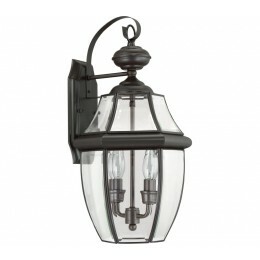 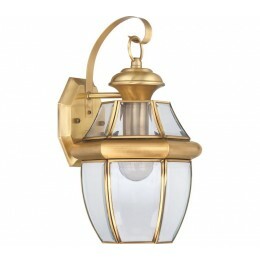 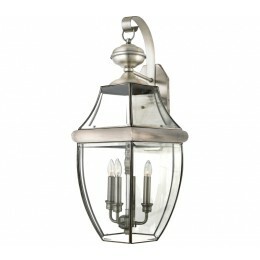 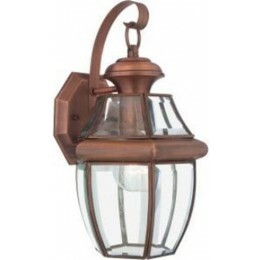 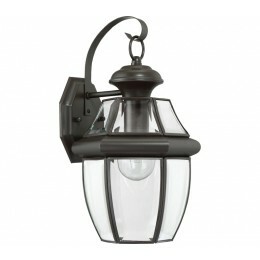 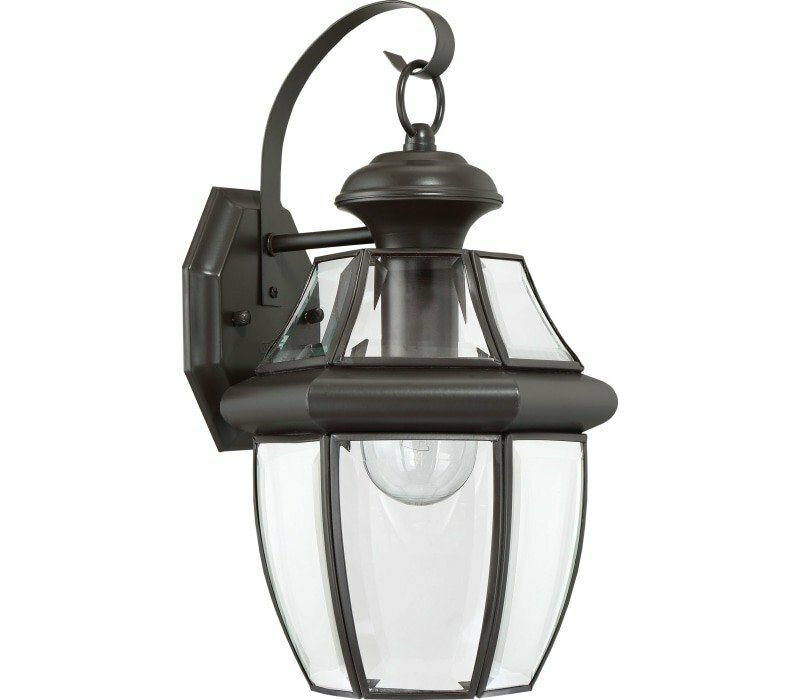 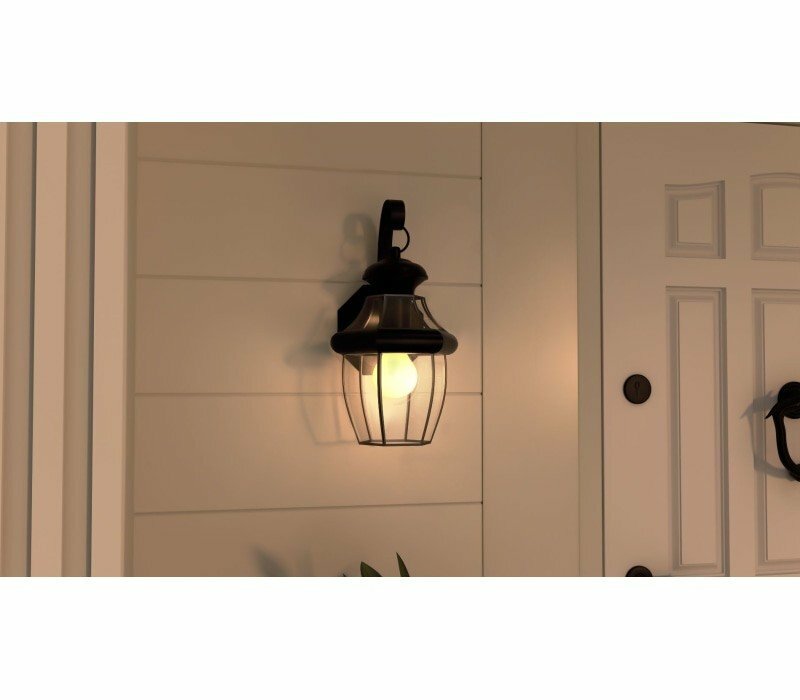 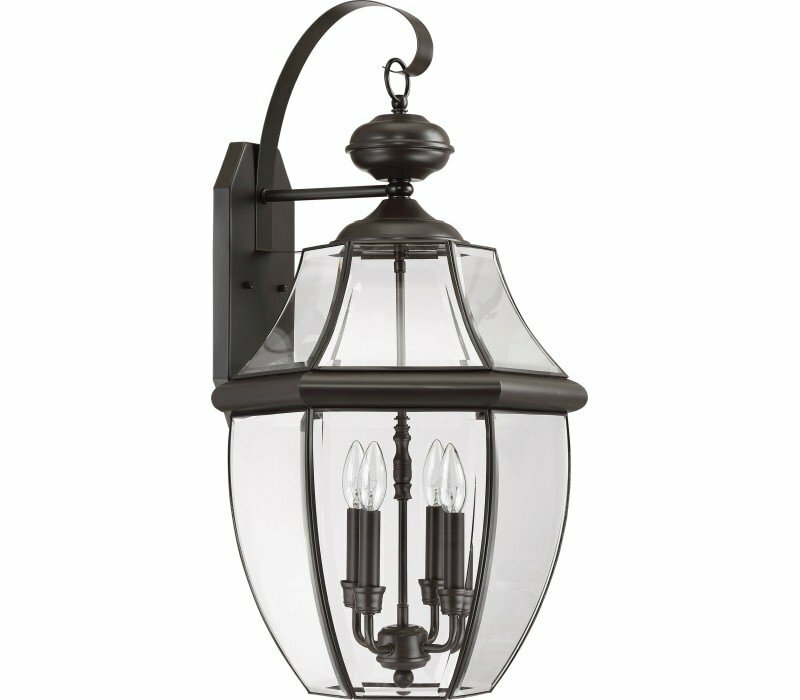 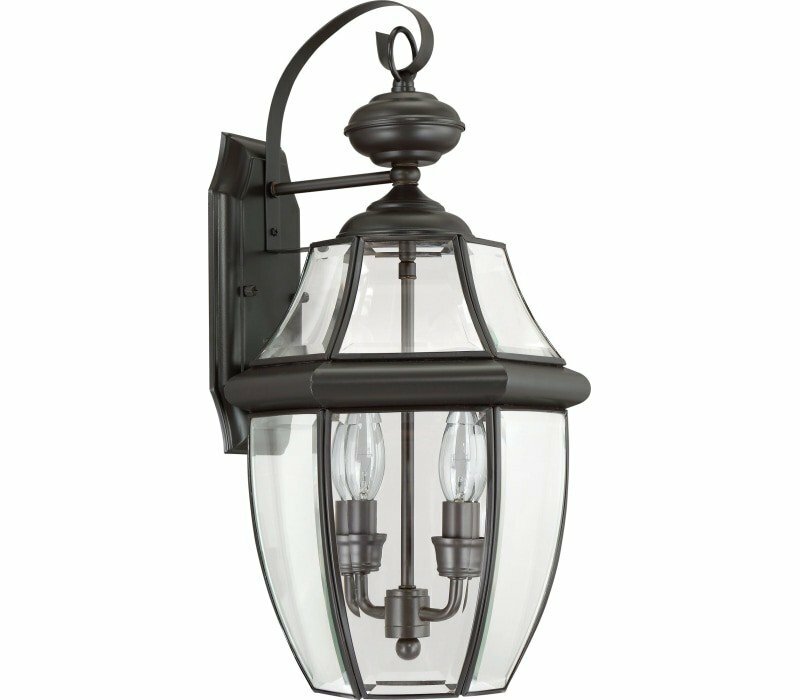 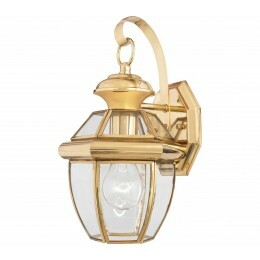 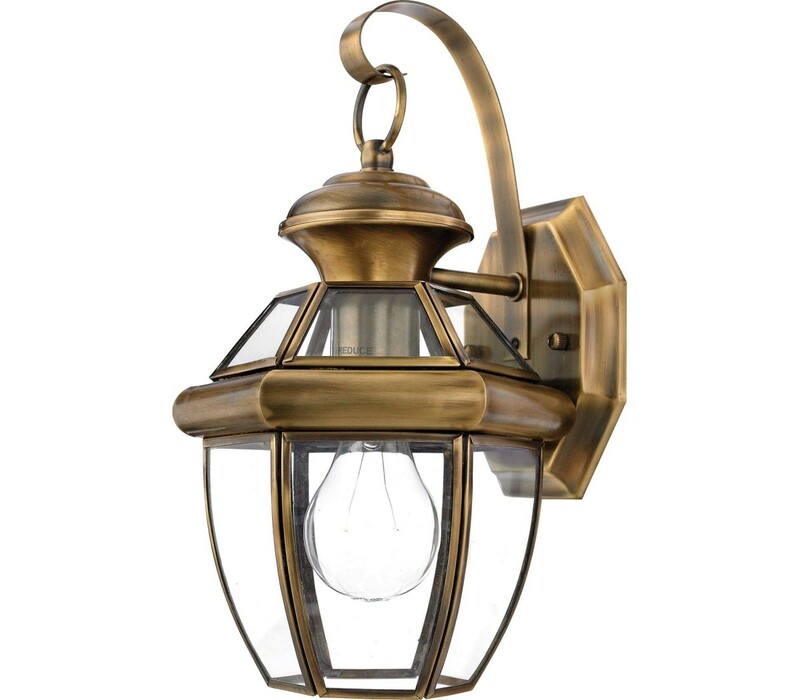 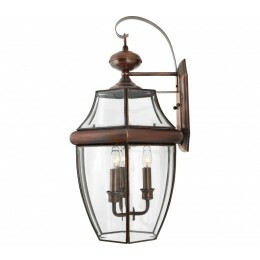 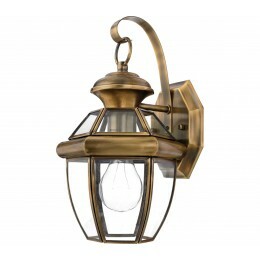 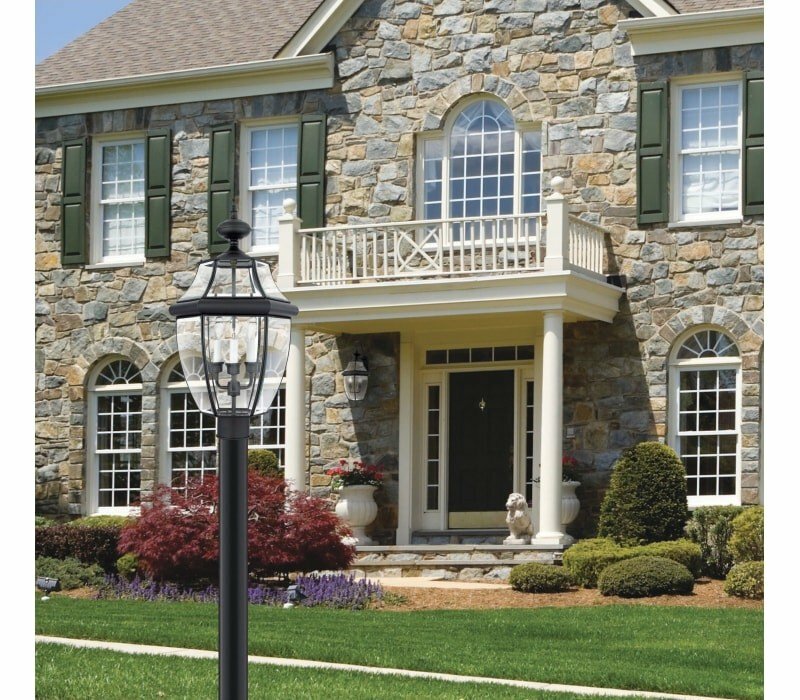 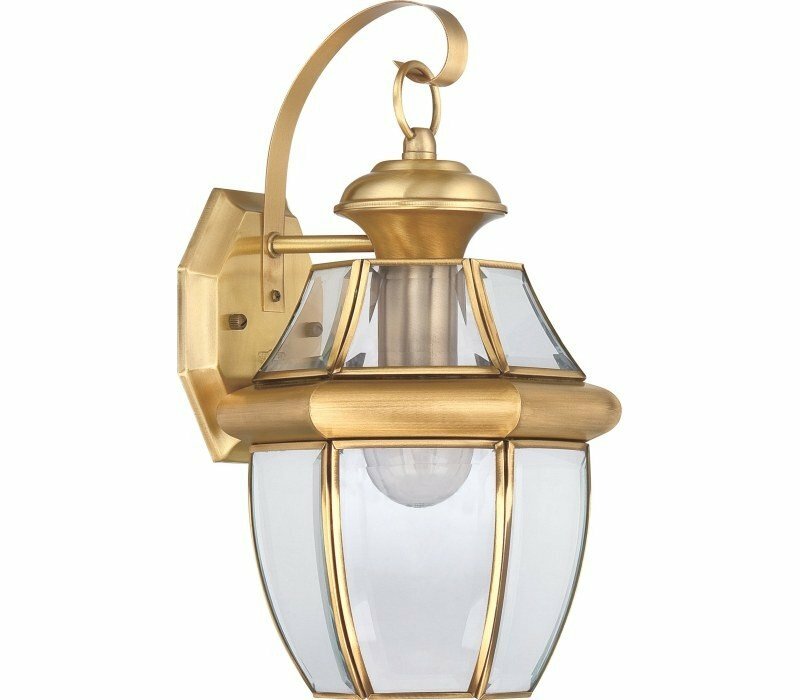 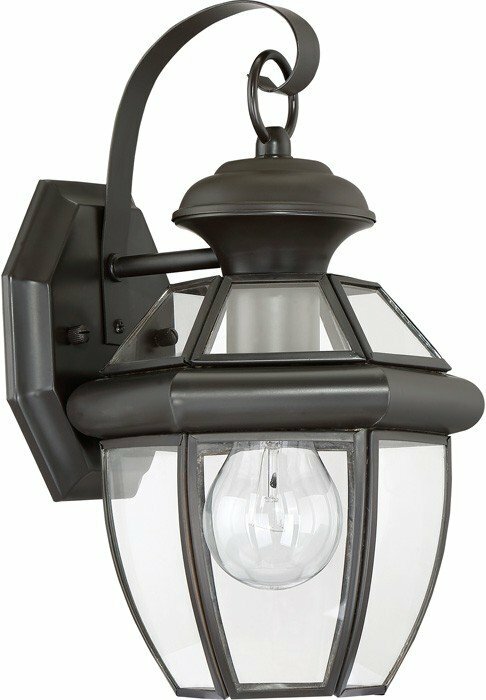 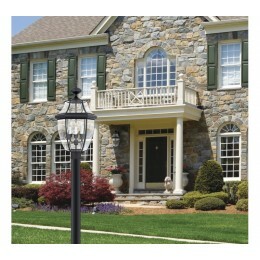 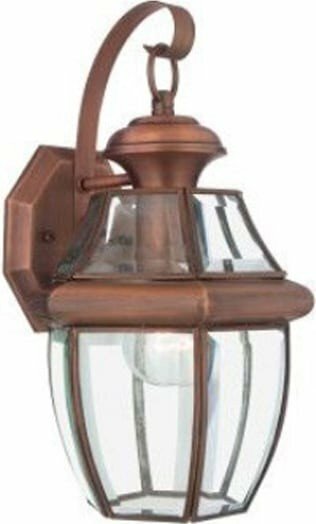 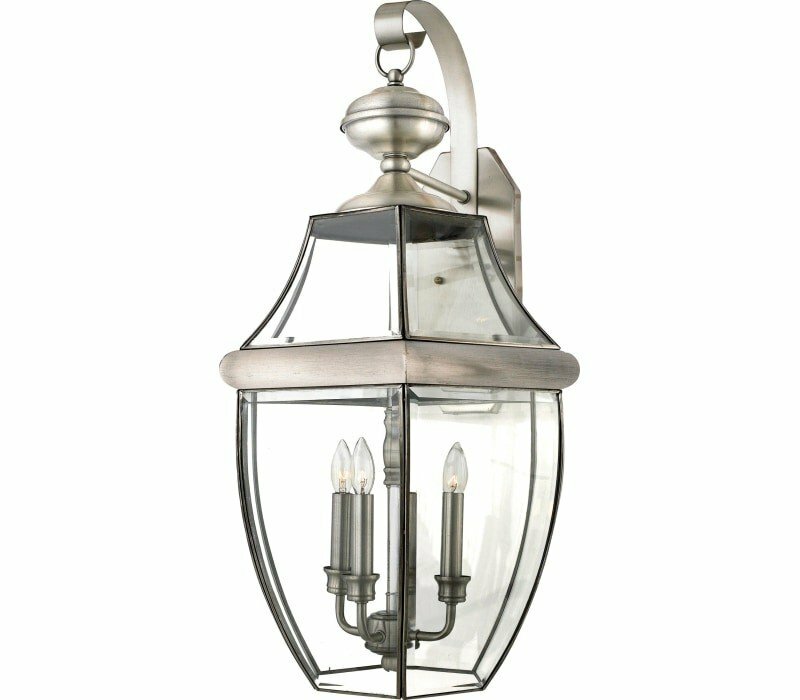 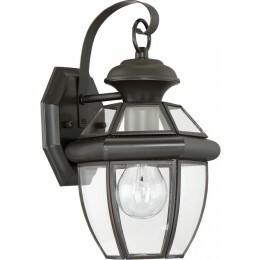 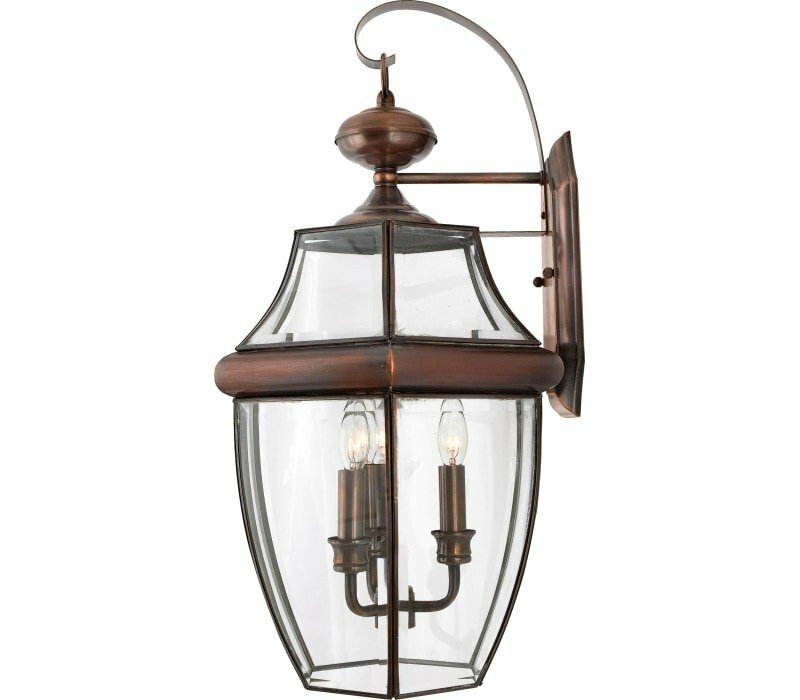 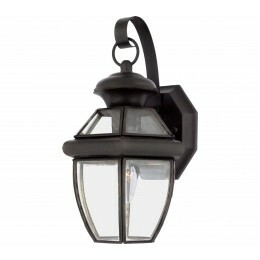 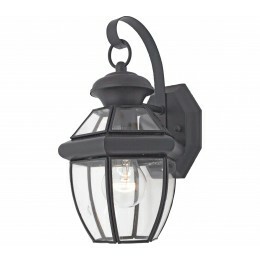 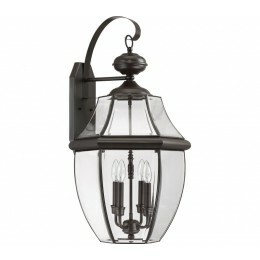 The Quoizel NY8315A Newbury collection Outdoor Wall Lighting in Antique Brass uses Fluorescent light output and brings Modern style. 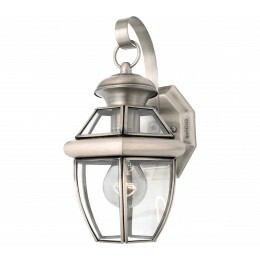 This item is 12.5"H x 7"W x 6.75"L. The wattage is 150. 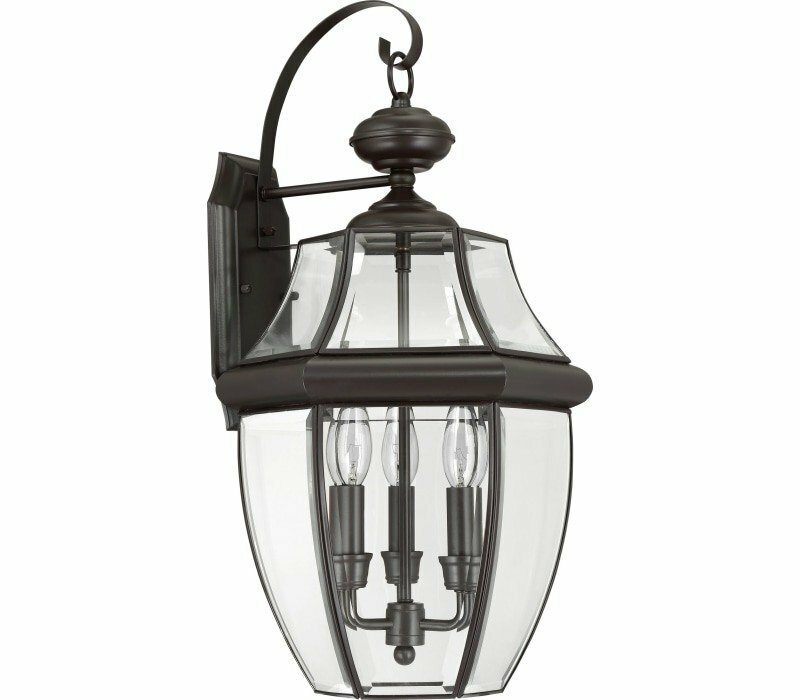 The Quoizel Lighting NY8315A requires 1 bulb (not included).